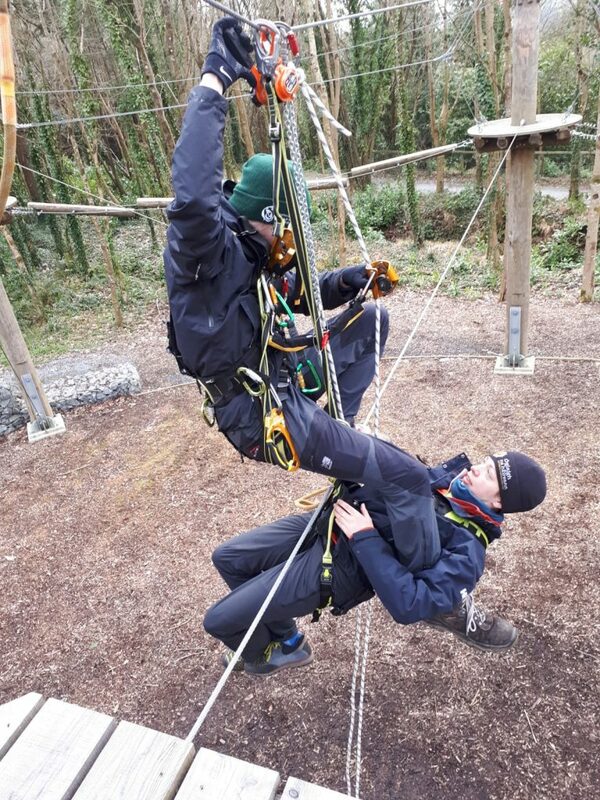 At Castlecomer Discovery Park we are proud of our commitment to training and ongoing professional development for our Instructor Team, prioritising safety and providing a quality experience for all our visitors. Our core team of Outdoor Activity Instructors have just completed the ERCA Generic Rescue Course based here in Castlecomer Discovery Park. This physically demanding course was run by Paul de Gast of Ropes Course Solutions, putting the staff through numerous scenarios where advanced problem-solving skills were required. This course gave training on advanced rescue techniques which can be used in multiple ranges of Ropes Courses. 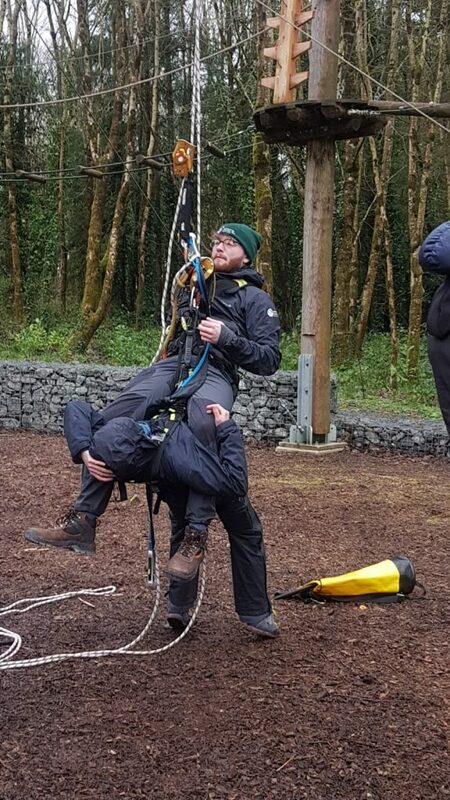 The Outdoor Instructor team received their ERCA (European Ropes Courses Association) Rescue Qualifications following a week long intensive course , making the Park one of the few sites in Ireland with this European recognised qualification. Nowadays, high ropes courses represent the main type of activity challenge in climbing forests and adventure parks. The activity generally takes place 6 ft (2 m) or more above ground level, demands a certain degree of physical agility from participants and requires vertical safety systems.